Are you looking for the best cell phone plan for teens and tweens? There are so many things to consider when your kids first get a cell phone. Do you have multiple tweens and teens with cell phones? Who is paying for their cell phone plan – you or them? What kind of access are you allowing them with their cell phones – calls only or will they be using data? Oh yes, data, the downfall of many households with tweens and teens. There is nothing worse than being in data jail as the parent with more than a week to go before the next billing cycle, because your tween or teen burned up all your data usage. When it comes to the right cell phone plans for tweens and teens, there isn’t a one size fits all answer. Kids these days seem to get phones earlier and earlier! As parents, it’s our jobs to find the best deal, while also helping our kids stay safe! There are traditional cell phone plans out there such as Verizon and AT&T. 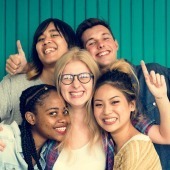 But there are also cheaper cell phone plans, which can help you stay on budget and help your teens/tweens stay connected. Here are many of the available options that could be a good fit for your family. No doubt you recognize this cell phone brand. Verizon is a traditional cell phone company that millions of people use. There are two options with this cell phone company for your teen or tween. Prepaid: Many people bring their own phone to Verizon and are able to use the prepaid option. You can choose to add 1 line or 4 lines, to make your cell phone plan complete. You can also choose from unlimited, 500 GB, 3 GB, 7 GB, or 10 GB. You can view what each price would be per gigabyte and line added. Keep in mind that lines start at $40! Monthly: You can choose Verizon Wireless on a monthly basis, which isn’t considered prepaid, but also not a contract. For a family of four, you can pay $40 per line up to 4 lines and this means you get unlimited data. They also have a Beyond Unlimited Plan that allows you to pay $50 per line up to 4 lines and you can stream more music and video. For the families that use data like no other, you will want to look into the Above Unlimited, which is $60 per line up to 4 lines. Verizon may be the way to go if you have a lot of people that need phones and you just want to make sure all the data is covered. Keep in mind this doesn’t include activation fees, monthly phone prices, insurance, and so on! Prices are subject to change, but you can view the various Verizon plan prices right here. Another cell phone plan that may work for teens and tweens who constantly use data is AT&T. They offer unlimited plans, as well as different phone options. Consider the fact that you may also be able to bring your own phone to save money! AT&T also has prepaid options, just like Verizon. Their plans include Unlimited Data Plans starting at $30 a month, plus the cost of a phone. You’ll really have to dig around to see which plan works best for your teens and tweens! At least you know you have lots of options between bringing your own phone, prepaid, unlimited data plans, and more! Check out all their data plans right here. Let’s face it, not every person, family, teen, or tween wants to pay the big bucks for a phone plan. If this is the case for you, there are many options beyond the bigger cell phone companies. 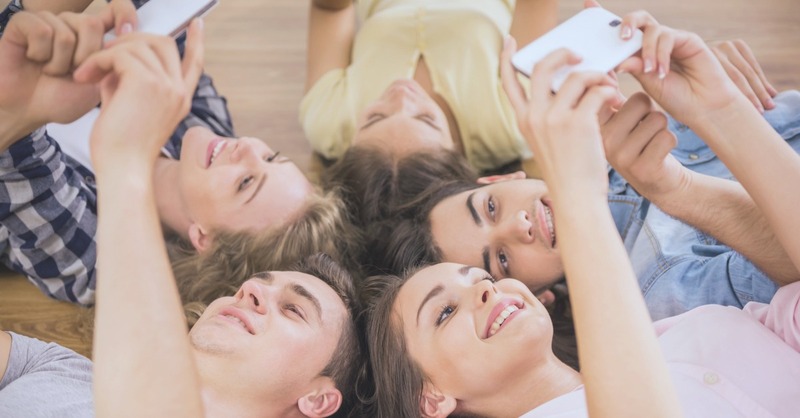 Check out these 3 non-traditional cell phone plan options that you may find more affordable and practical for your teen or tween. Keep in mind that teens can always connect to WiFi to make data usage more affordable. You may know a few people that use Republic Wireless. There are a few reasons why Republic Wireless is one of the best cell phone plans for teens and tweens. They have no contract plans that are really cheap. If you need your teen to pay for their own cell phone plan, this may be a great option for you. You get nationwide coverage and you can increase or lower your data, all while keeping everything on budget. Republic Wireless also has phones to help you stay “with it” technology wise! They offer a wide variety of Androids. So, with no contracts and coverage that’s guaranteed, this isn’t too shabby of a deal! Everyone has heard the Cricket commercial. Often firing off that you can get 4 phones for $100 a month. While their deals might change on a monthly basis, you’re sure to find a great deal for you. Cricket is one of those cell phone plans that makes it easy to add your teen or tween when you’re ready. With Cricket, you get the traditional perks of having a cell phone without the stress of it all. You can even bring your own phone to Cricket, which is great! You can save yourself money and get your teenagers a phone plan that won’t break the bank. Hello, you’ve probably heard of Tello. Even if you haven’t, Tello is one of the best prepaid cell phone plans for teens and tweens. As far as cell phones go, Tello has made it pretty easy. You don’t have to pay for all the extras like activation fees, termination fees, or contract fees. You basically sign up and pay as you go! Along the way, you do get access to 4G coverage, which is so nice! Tello also allows you to build up your own plan, thankfully! Every family, including the teens and tweens of that family, has their own needs! You can even change your phone into a hotspot with tethering, you can even call Mexico, Canada, or China, with this phone plan! You can also change your plan without worrying about extra fees! There are a lot of cell phone plans out there and they can be tough to sift through. These three offer a great deal, cheap phones, and limited fees! When you’re providing a phone plan for your teen or tween, you don’t want it to break the bank! Plus, when it’s time for them to take over the paying the bills themselves, you can transfer the cost to them without worry!